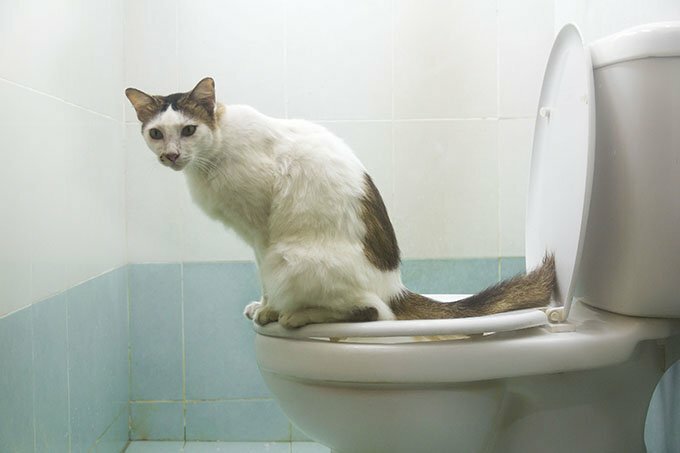 When it comes to bathroom time, most of us are lucky if our cats manage to cover their droppings completely with litter to eliminate odor. Feeling tiny bits of litter sand between our toes whenever we are barefoot is kind of part of the owning the cat package. 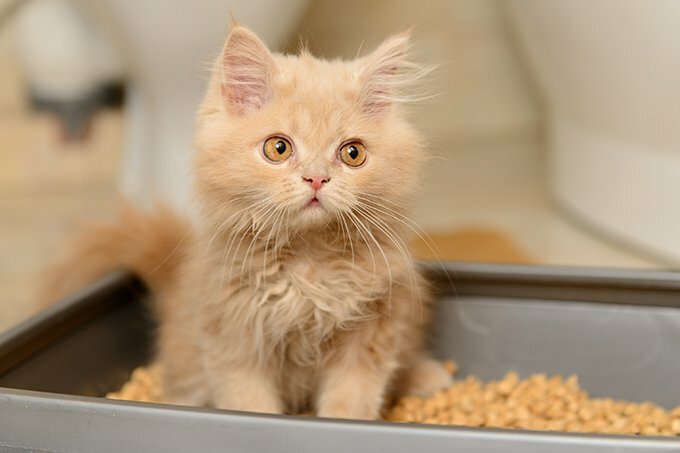 Fortunately, there are ways you can help your messy kitty keep her litter in the box and not scattered all around it and your home. Cats like the areas where they relieve themselves to be nice and clean. If the litter box is dirty and full of old poop, your cat will begin her dig to China in order to find a clean area, kicking out litter in the process. To prevent your cat from scraping around for a clean area, scoop out any dirty litter on a daily basis. Doing so will also help eliminate odors and cut down on cat allergens in the home. If you find your cat tracking litter throughout your entire house, part of the problem could be the litter itself. The composition and consistency of the litter you are currently using may be entirely too conducive to sticking on your kitty’s paws. Experiment with litters, but be sure your cat likes it, too. If your cat doesn’t find the texture to her taste, she may find somewhere else to eliminate her waste. 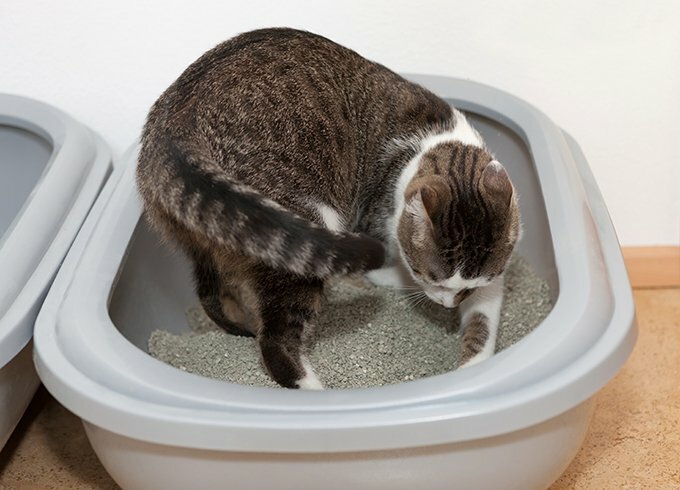 Some cats, such as small kittens and senior cats who aren’t as agile, may have difficulty with a litter box like this. For all other cats, this is a great way to cut down the amount of litter your cat is tracking outside of his litter box. The high sides act as a guard for when your cat gets really into the whole burying process. 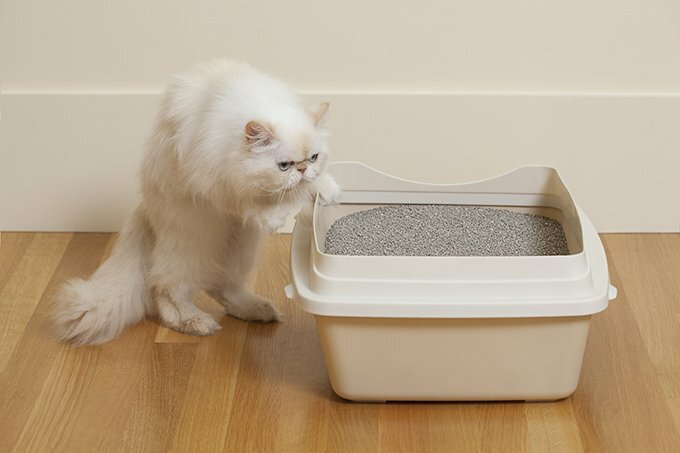 A plastic or silicone mat right outside of your cat’s litter box is another way to cut down on unwanted tracking. The silicone material will have the litter from your cat’s paws sticking to it, not to their paws. To clean, simply grab the mat and dump any litter bits into the trash. Mats like these can be found online and at most pet stores. Litter tracks throughout the house when it sticks to the fur and claws of your cat, leaving wherever they walk post-bathroom in a wake of nasty litter. Give your cat’s paws the attention they need. Keep the fur around the paws and ankles trimmed if you have a long hair cat. Be sure your cat has a way of filing down her claws, whether that’s with a scratching post or routine trims with your vet. Despite all of these preventative measures, there is always going to be at least one bit of litter that managed to escape the box. 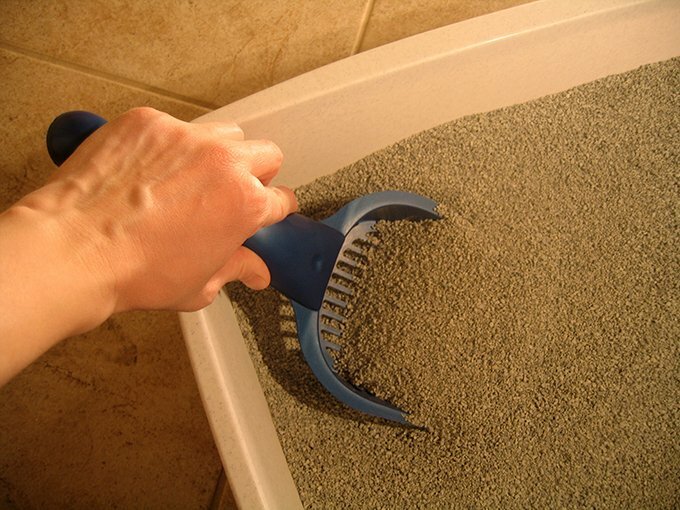 Keep a small broom or invest in a handheld vacuum to keep near your cat’s litter box for quick and easy access. Any time you see a bit kicked out, take two minutes to sweep or vacuum it up. 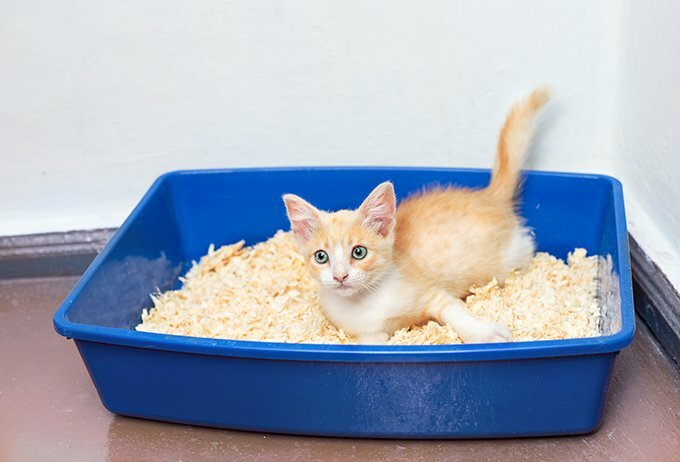 Some cat parents have gotten very inventive and have created litter box furniture to help eliminate litter tracking as well. There are loads of YouTube tutorials on how to make litter boxes out of old plastic tubs, dressers, and more. If you are really ambitious and patient, you can also attempt teaching your cat how to use the toilet, eliminating the need for litter entirely. 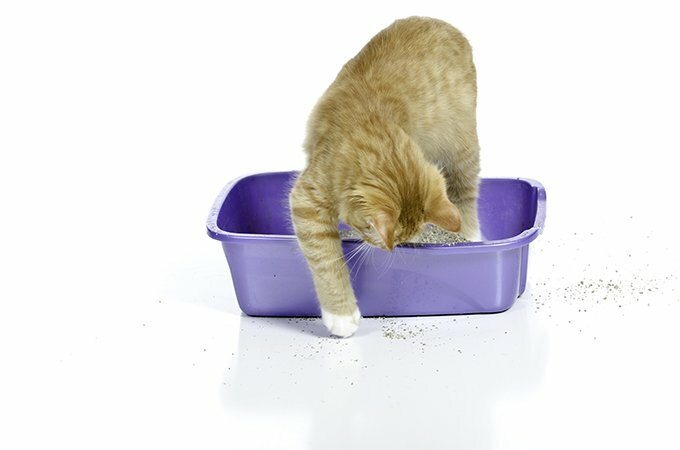 Do you have any tips on how to keep your cat’s litter where it is supposed to be? Let us know in the comments!